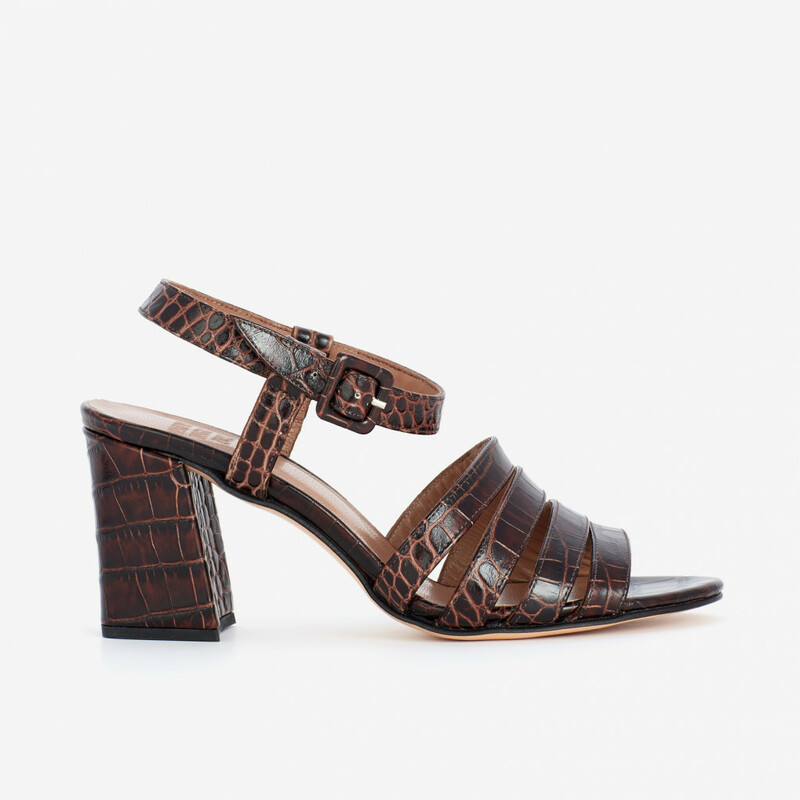 Strappy Maryam Nassir Zadeh sandals in dark brown faux croco leather. Ankle strap with buckle closure. Chunky, covered heel. Leather sole. 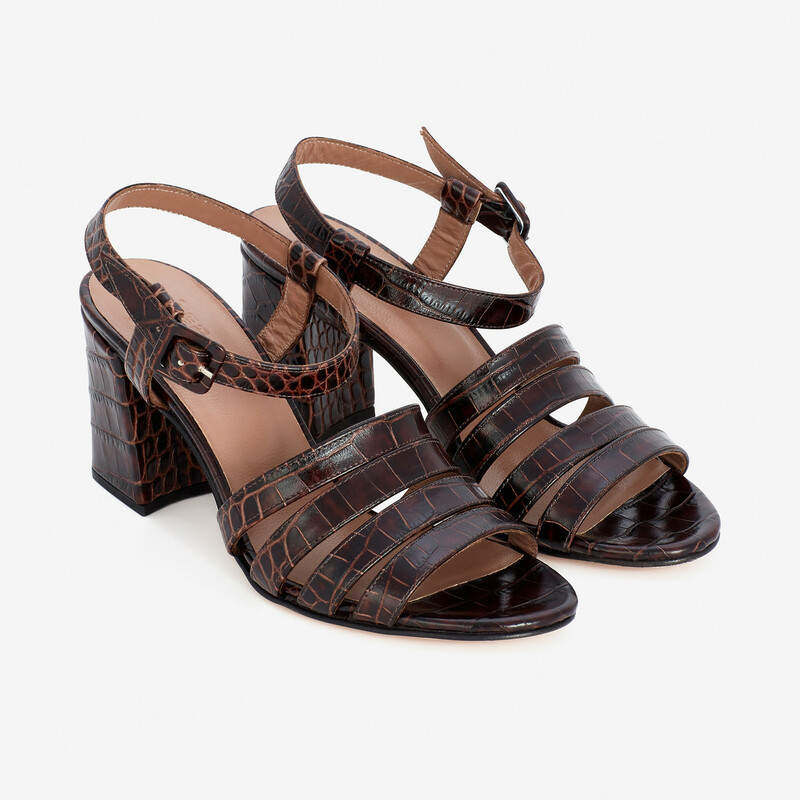 1 x Brown Croco Palma High Sandal was added to your shopping bag. 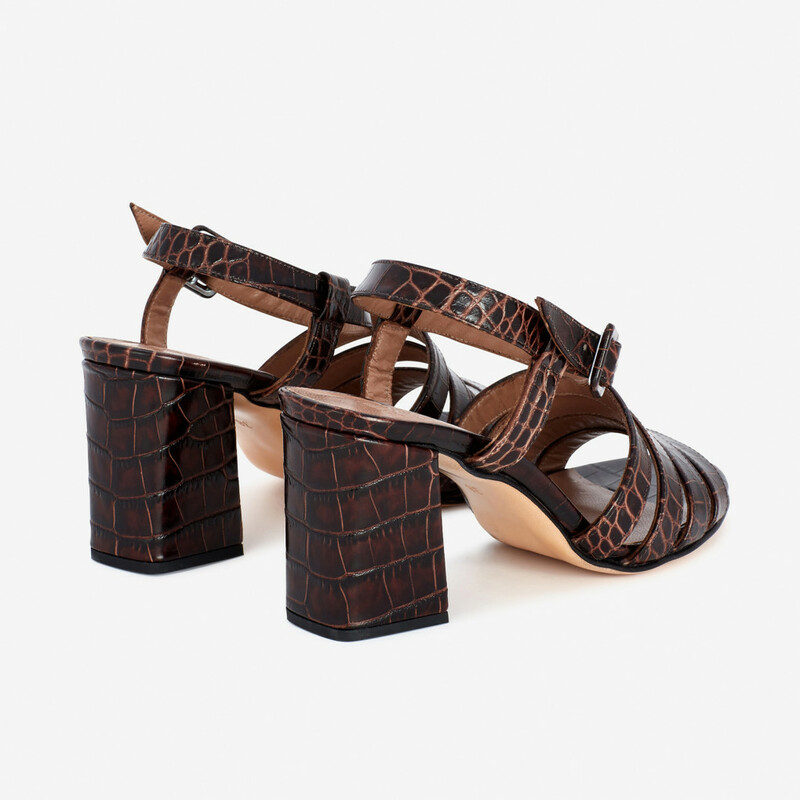 1 x Brown Croco Palma High Sandal was added to your wishlist.